I hereby inform all members that they must end all radical agitating speeches while at work or in the streets. We are for peace and not destruction. Stop flashing your cards at Europeans: it causes confusion. Remember your card is for your Salvation. Failure to obey these orders will be of severe consequence. We are for Love, Truth, Peace, Freedom, and Justice, and when these principles are violated, Justice must then take its course. Any member who or group of members who hold malicious feelings toward the Temple or the Prophet, or violate the Divine Covenant of the Moorish Movement will receive their reward from Allah for their unjust deed. All true Moors will and must obey the LAW as laid down to them by their Prophet. If they lose confidence in their Prophet, they should turn in their card and button, cease wearing their turban and fez and return to the state where I found you. This is a Holy and Divine Movement founded by the Prophet Noble Drew Ali, and if the Prophet is not right, the Temple is not right. The Prophet therefore is sending out a Divine Pleas to all Moorish Americans that they do their part in protecting the Temple. This is an everlasting movement founded by the Prophet through the will of Allah to redeem his people from their sinful ways. This entry was posted in blood raw talk no cut on March 20, 2015 by da13thsun. [. 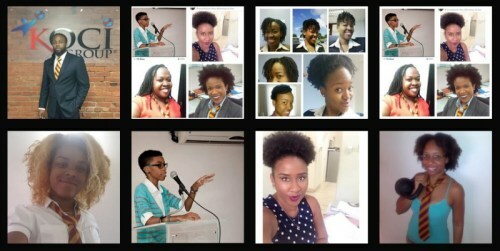 . .] Some female students at Harrison College, one of the most prestigious schools on the island, were reprimanded for sporting hairstyles which were deemed inappropriate for school, to the surprise and outrage of many. This entry was posted in blood raw talk no cut on February 8, 2015 by da13thsun. Refreshing Ginger-Lemonade w/Raw Honey Tea for Weight Control/Cleanse & Detox. This entry was posted in Healthy Info on January 14, 2015 by da13thsun. Black Seed – ‘The Remedy For Everything But Death’. This entry was posted in blood raw talk no cut on January 14, 2015 by da13thsun. 160 Uses for Coconut Oil. Did you know the Ancient Egyptians believed that eating lemons and drinking lemon juice was an effective protection against a variety of poisons, and that recent research has confirmed this belief? 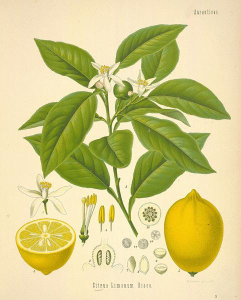 There are many health benefits of lemons that have been known for centuries. The two biggest are lemons’ strong antibacterial, antiviral, and immune-boosting powers and their use as a weight loss aid because lemon juice is a digestive aid and liver cleanser. Lemons contain many substances–notably citric acid, calcium, magnesium, vitamin C, bioflavonoids, pectin, and limonene–that promote immunity and fight infection. These are well-known health facts about lemons. But there’s so much more to this little yellow fruit. Here are 25 that I’ll bet you didn’t know. Whether you use them in the form of juice, teas, drinks, dressing, poultices or in the bath, take advantage of lemons’ natural healing power. This entry was posted in blood raw talk no cut on January 13, 2015 by da13thsun.